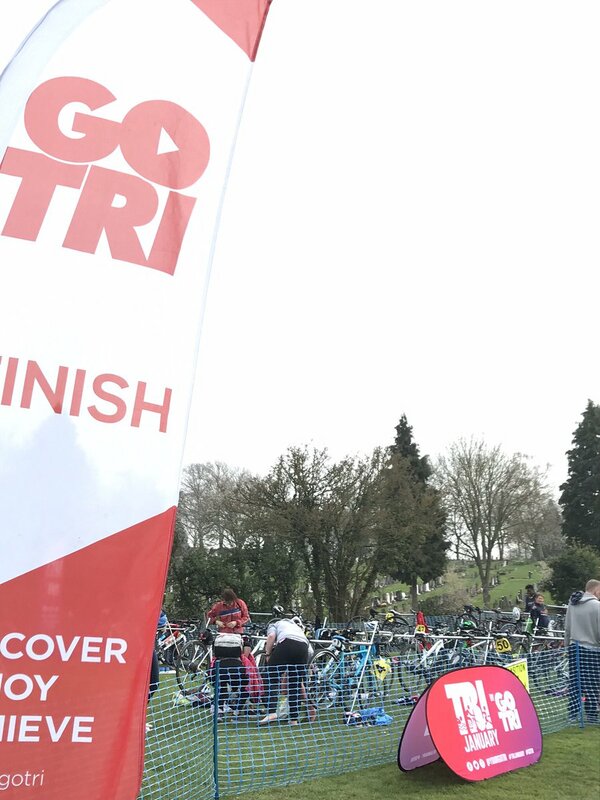 I had been toying with the idea of completing a Triathlon for about 18 months when I was told to take part in Blenheim Triathlon, i was told ‘You will either love it or hate it’. I loved it, it was a great day, brilliant venue. I managed to get there early which was a bonus as queuing up to collecting timing chip took a while. Once the timing chip was secure on my ankle there was a walk across the grounds to the Transition area. The marshals were really good and once I got my bike checked (no hidden motors!) my race numbers fixed securely to bike and helmet we were all then allowed through. My start time was 10:20 am and i was on row D so i set about setting up my transition (which i rearranged 3 times). Piece of advice check your bike, tyres everything then check again. A friend of mine had a flat before he even got to transition, everyone pitched in to get his bike in working order as he had no spares whatsoever. I then went for a walk towards the lake where I watched the first wave and the weekend warriors start their swim. At 10:00 am With wet suit on I walked down to the swim area, I have never seen so many people jump of a pontoon into water and swim to the start line. The water was warm around 18 degrees C, not unpleasant at all, now swimming is not my strongest (neither is running) so I found it quite interesting when some chap decided to swim straight over me from right to left, (I did not drown surprisingly). Now I do suffer with Asthma but I soon found my rhythm and before I knew it I was out of the water and jogging back to transition. I found getting the wet suit of easy enough, a quick drink of water and i was away on my bike. The bike course is undulating at best, what I found comical (in the end) was on the second lap of the bike course about half way round was the motorbike with two official’s sat on the bike on the right side of the road after a sweeping left hand downhill bend, you did not see the bike until you came out of the tree line, Thank god I commute on a regular basis into Birmingham. After 3 laps on the bike straight back into transition for the run which is like my swim not the greatest, it was slow, but it was a beautiful day, great atmosphere, the crowds and support staff were brilliant and for my first Triathlon I am happy with my time of 1:39:11. At least this gives me a starting point for future events. What I found more pleasing is I went with a friend who is 10 years younger than me and I beat him with a 6 minute margin.